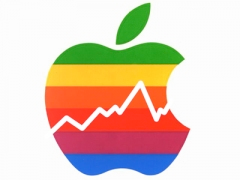 I would sell AAPL when hateful articles are no longer written. When the consensus that Apple is dominant is overwhelming then sell. When computing has de-facto shifted to mobile, then sell. When there are no more iKiller wannabes and when competitors no longer seek to “take on the upstart” then sell. As long as there are doubters, whether due to ignorance or reactionary fear and loathing, the stock is underpriced. If you doubt and hate Apple, please post and comment and give me the confidence to hold.